Your style is about more than just clothes or accessories. As a stylist based in the Dallas, TX area, I can work with you in-person in a number of ways from making over your closet to taking care of your shopping needs. All of my in-person services start off with my signature Style & Body Type Analysis to help you create a lasting foundation for a style you’ll love. If you dread opening your closet and feel like you have nothing to wear, you need the Closet Edit. For this package, I will come to your home and work with you to define your style with my signature Style & Body Type Analysis. Then we’ll go through your closet together to edit or remix it. You’ll also get the Ultimate Wardrobe Checklist as a tool to help you build a wardrobe that works for every occasion. This checklist is your personal shopping list so you know what to buy the next time you go shopping! Following our session, you’ll get a copy of your Body Type Briefing which includes the “must-have” items for your body type and guidance on what items to avoid. When we’re done, you’ll have a clear idea of your personal style archetype and what looks best on you, as well as what wardrobe items you may want to add. 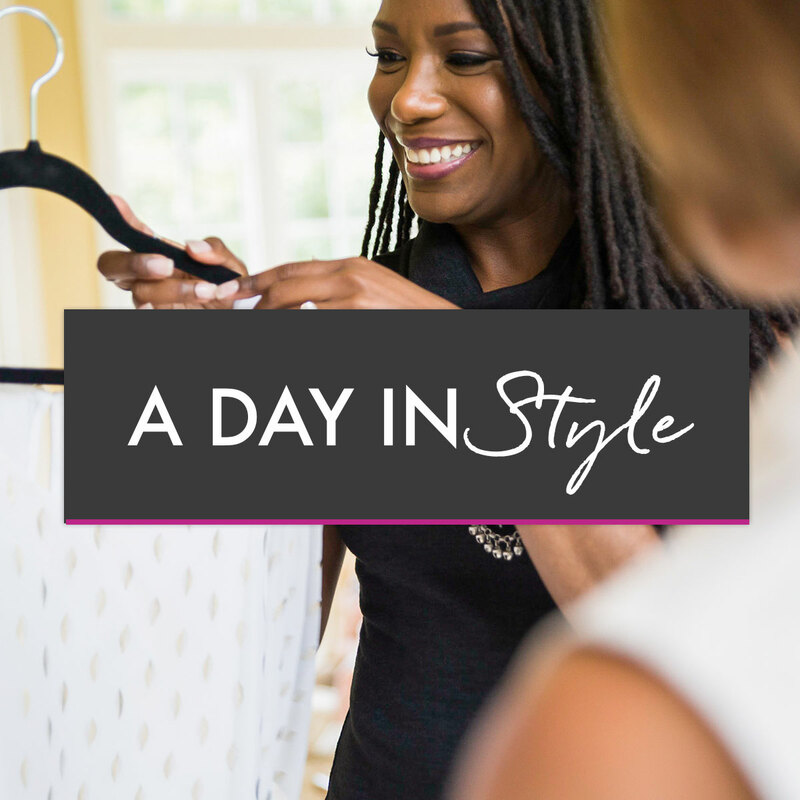 Imagine, a full day dedicated to helping you define your style so you can walk away confident and with a closet full of clothes you’re excited to wear. In the morning, we’ll meet at your home to lay the foundation for defining your personal style with the Style and Body Type Analysis. Through this process, you’ll uncover your Style Archetype so you can shop and dress with confidence, as well as your unique body type so you know what shapes and fits best work for you. 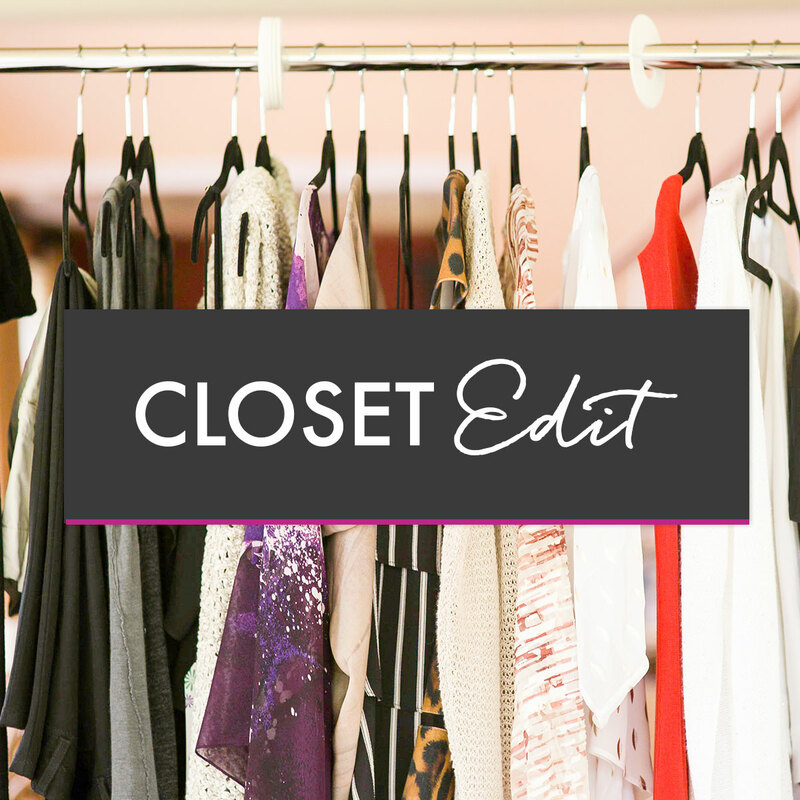 Next up, we tackle your closet with the Closet Edit. We will look at all of your clothes and accessories to edit or remix what you have, as well as identify what items you may need. Then we’ll head for lunch where you can ask me all your style questions and chat about everything that’s happened so far. We’ll wrap up the day by shopping together. I’ll take you to the best stores for your style and body type, coach you and help you pick out items and help you create a strategy for future shopping trips. You don’t have to purchase anything that day, but if you fall in love with something, I won’t stop you either! Includes 8 hours of time with me, your Personal Stylist. Take your style to a whole new level with this VIP experience. As your Personal Stylist, I know the details matter and that you’re looking for someone discerning to help you define your personal style. My commitment to you with the Luxe Experience is that it will truly be a VIP experience. The Luxe Experience starts off with us spending a half day together at your home. This is my opportunity to get to know you as we get started with your Luxe Experience. First, we’ll define your personal style with my Style & Body Type Analysis. Through this process, you’ll uncover your personal Style Archetype so you can always shop and dress with confidence. We’ll also identify your body type so you'll discover which garments, fit, and style work best for you. Then, together, we’ll review your closet at the comfort of your home and perform a Closet Edit. This will help us identify which key wardrobe items you have and which one you need, according to our body & style type analyses. I'll also suggest interesting ways to remix what you already have to make the most of your current wardrobe! With your style foundation in place, I head back to my styling studio and design your personal mood board. The mood board is a collection of images I personally curate and share with you that best represent the style direction I envision for your new look. Once we agree on your style direction, this is where the real fun starts! I hand-select and shop the best wardrobe items based on your needs. This saves you time and frustration of finding perfect-for-you clothes & accessories for your everyday life, upcoming travel, or social functions. To prepare for your personal fitting with me, I style all of your looks in my styling studio prior to our appointment. I handle all the fine details in advance to ensure that you'll feel pampered and confident during your personal fitting! Next, you'll come to my stylish Uptown Dallas studio for your Personal Fitting (where you can expect wine or champagne!). During your fitting, you'll try on each outfit I've personally curated and styled just for you, you'll benefit from my critical eye as I ensure the overall best fit and style for you, and together, we'll make final selections on which new wardrobe items will adorn your closet! 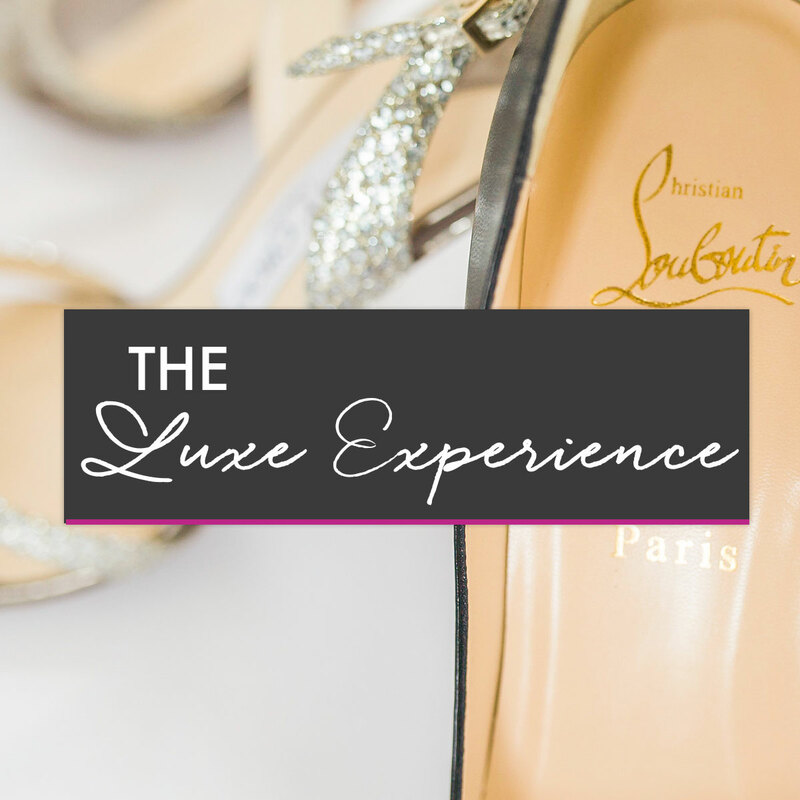 The Luxe Experience is 100% customized to your needs and starts at $2499. I only book a limited number of Luxe Experiences each month to ensure each client receives my utmost care and attention. It’s important to me that the Luxe Experience is the right fit for your needs and that I can create an outstanding experience. To discuss your needs and the Luxe Experience, you can book a call with me below.